Stunning Estate in heart of Saddle River on 2.26 level acres! 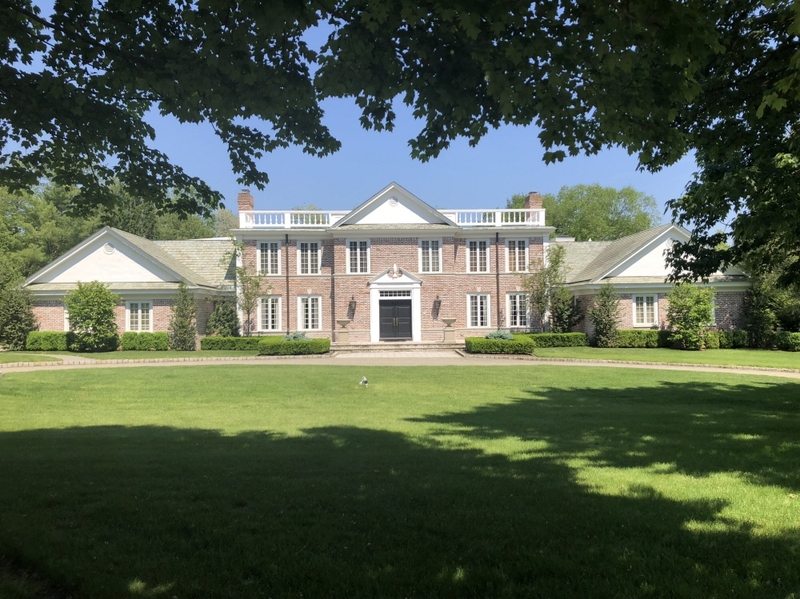 Lush Landscaping surrounds this professionally decorated, All-Brick Colonial with all 6BR's 'en-suite', 4 Fireplaces and numerous amenities including Heated Pool w/Hot Tub, Waterfall + Fountains, as well as Home Theatre, Billiards Rm, Wine Cellar, Gym (w/Sauna) + 'Whole House' Generator! Exquisite quality exudes throughout this home that would satisfy even the most discerning buyer! This residence also offers all the features one would expect incl. 2-story Great Rm + Foyer, Gourmet Kitchen by Kuche-Cucina, Wood-Paneled Library, Formal Living Room, banquet-size Dining Room + Master Bedroom retreat w/spacious Master Bath, 2 luxurious Walk-In-Closets, Sitting Room + Veranda overlooking the lush, private oasis! Where can you get so much luxurious living space while still paying less than $30,000 in taxes?! Also available FOR RENT at $21,000/month with "white glove" service including weekly housekeeping, handyman, landscaping, and pool maintenance.